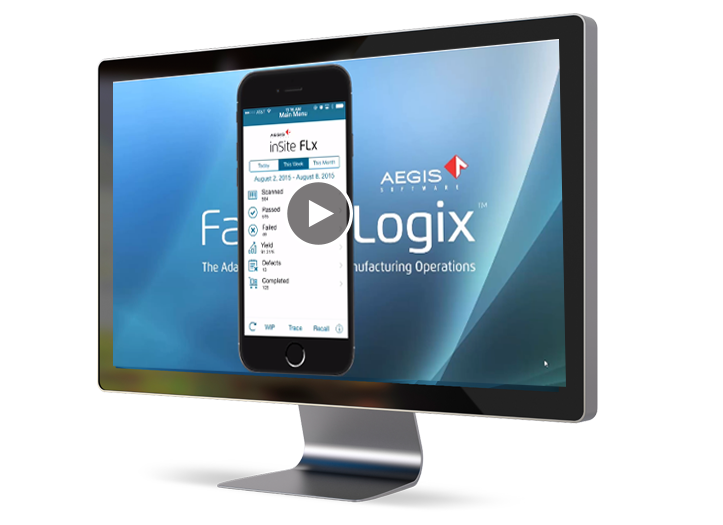 AEGIS Software is pleased to announce the release of inSite FLx for FactoryLogix users. This free app, available in the App Store, empowers manufacturers with real-time actionable data from their FactoryLogix installations. Users can view WIP and Quality data as well as comprehensive traceability reports. The app even includes a powerful Recall tool which displays all assemblies containing a specified part number and/or lot code. © 1997 - 2019 Aegis Industrial Software Corporation. All rights reserved.